Imagine a full fledged E-Commerce store with unlimited categories, endless products, full range filters for discovery, rich product pages and multiple payment options - all built out within a matter of weeks. If you’re just starting out or are on a tighter budget and your online store would be selling less than 2000 products to start with, using an open source e-commerce framework such as a WooCommerce website solution is a perfect fit for you. WooCommerce websites are incredibly affordable for their feature sets and have a much faster speed to market. WooCommerce is a great way to get up and running fast without having substantial budgets. Again, with WooCommerce, a reduced cost doesn’t hamper the feature expectation and you wouldn’t need to compromise on standard E-Commerce features as these are available out of the box. Built on top of the world’s most popular content management system - Wordpress, WooCommerce is a powerful, integrated, secure platform with a range of features available ‘out-of-the-box’. 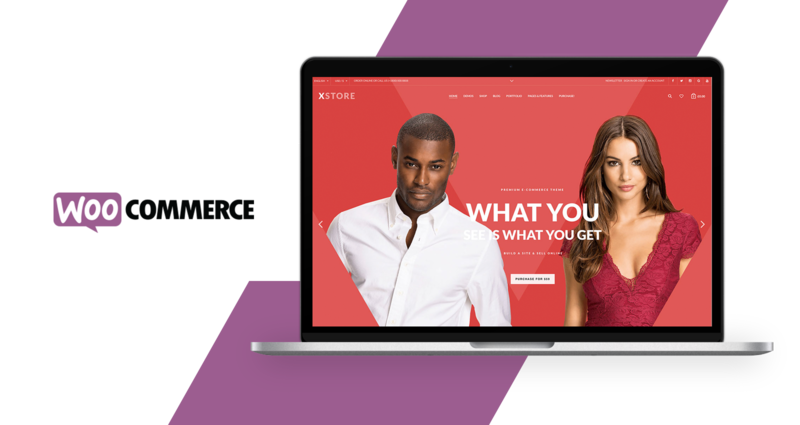 The WooCommerce theme architecture allows your website to take advantage of rich front end experiences, fully integrated with the ready-to-go backend CMS. With rich interfaces that are engaging and are designed to drive sales. Don’t limit yourself, if you can sell it, you can sell it online. From physical products to digital downloads to subscriptions, from content to appointments, you can sell literally anything with WooCommerce. With WooCommerce, you receive complete flexibility and control over your store with unlimited product categories, unlimited products and variations (Colours, Sizes), dynamic product attributes (width, length etc) and product tags. Enable a full range of product filters to allow your users narrow down on the perfect option for their purchase. Filter products by category, brands, attributes, price and other configurable filters. New filters can easily be set in real time. Create full featured, rich product pages with engaging galleries to showcase your products to the fullest. Incorporate colour and size options within product pages and link related products to create an engaging, immersive product experience. Decide where you ship, how you ship and what rates you charge. Create Shipping Zones with granular control right down to PIN codes. Structure flat rate shipping or even free shipping for select or all products. Sell your products overseas with confidence. WooCommerce has built in multi-currency support which provides everything needed to go global when coupled with the multiple payment gateways supported by the platform. Support multiple taxes and even GST chargeable on purchases made through the website. Calculate taxes on the fly, in real time, based on the user’s geographic location and charge the tax on checkout.